Despite her relatively young age, Kondo is a very big deal in Japan. The 31 year old has sold 2.2 million copies of her four Japanese books, with her surname even used as a verb across the country, as in "I just kondoed my bedroom". Kondo's new book, a sequel to her international best seller "The Life-Changing Magic of Tidying Up", includes hundreds of practical illustrations teaching people how to organise and simplify. Despite the abundance of folding and arranging tips, however, the key to Kondo's book is an underlying philosophy that aims to clear heads as well as homes. Based around the concept of joy, Kondo's approach to tidying involves getting rid of everything that doesn't spark joy in your life. "I think one of the reasons it's been so popular is because I talk not only about physical decluttering but also about de-cluttering your mind, too," Kondo said in a recent interview with the Sydney Morning Herald, adding "My method of decluttering reveals what's most important in your life. So it doesn't matter whether you're in Japan or overseas, this method shows clearly what's important to you." 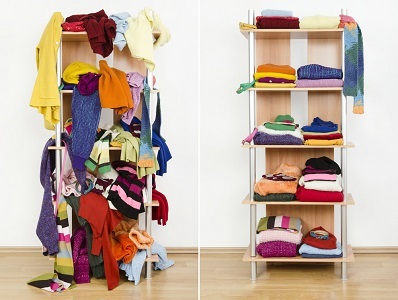 By assessing everything on whether or not it sparks joy, the KonMari method manages to be both highly practical and emotionally rewarding. According to Kondo from her new book: "When deciding, it's important to touch it, and by that, I mean holding it firmly in both hands as if communing with it. Pay close attention to how your body responds when you do this... When something sparks joy, you should feel a little thrill, as if the cells in your body are slowly rising. When you hold something that doesn't bring you joy, however, you will notice that your body feels heavier... For many people in Japan, it's natural to think that things have souls and that you should show gratitude when you use them." While getting rid of the things that don't spark joy is a big part of Kondo's approach, she also focuses on building joy by infusing life with a sense of magic. Even the simplest of jobs can be made more joyful with mindfulness, a meditative approach to life that has its roots in the Japanese religions of Buddhism and Shintoism. By showering praise on useful objects, decorating practical items such as laundry detergent, and concentrating on simple tasks like folding clothes, Kondo wants to create a "bright and joyful future" for everyone by helping them to recognise the things that bring joy and throw away the things that don't.